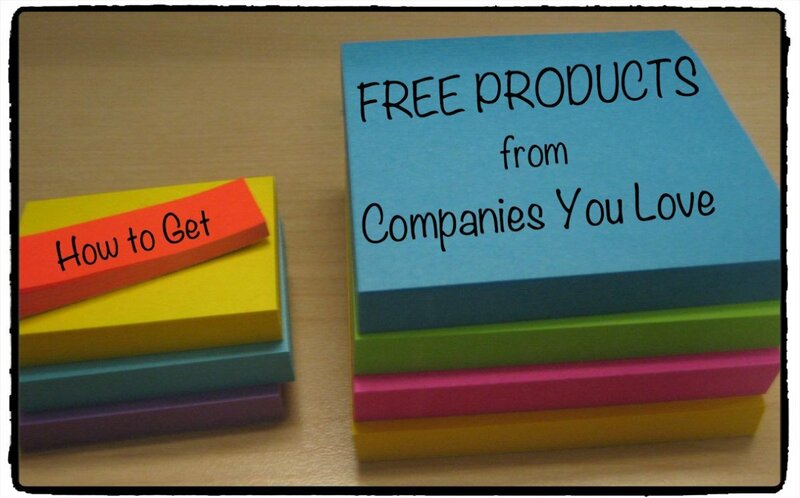 Find out which companies will send you free products! My name is Aimee. I am just an average busy mother and freelance writer who loves to spend time with my family. Recently my husband and I started thinking about giving our children the Christmas they always dreamed of, but like many others we could not afford it. Finally a light bulb went off in my head about this creative way I could raise a lot of extra money for my children's gifts this year. One day I was organizing my pantry and looking at all of the products I buy to fill my families everyday needs. As I was skimming the boxes of pancake mix, brownies, and cereal I thought about how much money I have spent over the years on these products. A huge chunk of my income has gone to these companies that make our food and other products. Wouldn't it be nice if they finally gave me something back? The way I see things, I can waste many hours sitting in front of the television or being on the internet and gain absolutely nothing. On the other hand, I can use that time writing to the companies I love. 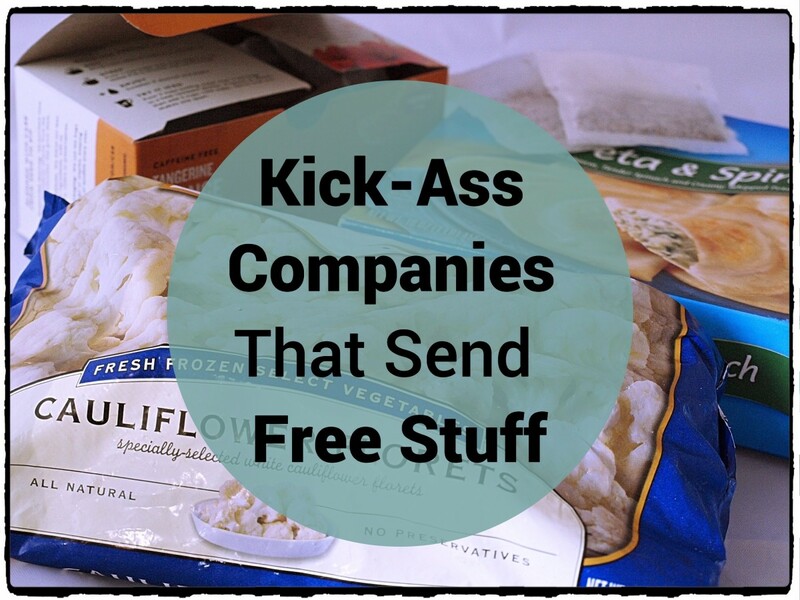 I wrote emails to about 150 of my favorite companies and asked them for a free sample or coupon. Many of the products in my pantry were made by Kraft, Nestle, and General Mills. Most of the products in my cleaning closet were Church & Dwight, Proctor & Gamble, and Kimberly Clark. It was astounding to see how many different products were made by the same few companies. After I had exhausted every product in my home I began to think of companies that were outside of my home. I broadened my horizons and started getting addresses from other companies, such as fast food places, chain stores, and coffee places. A freebie is a freebie and my project was about getting as much free stuff as I could. Many of the letters I wrote were simple and to the point, but if it was a company I especially loved, I made it a point to go into more detail. When I started really getting into this project, I decided to write more creatively and from the heart. 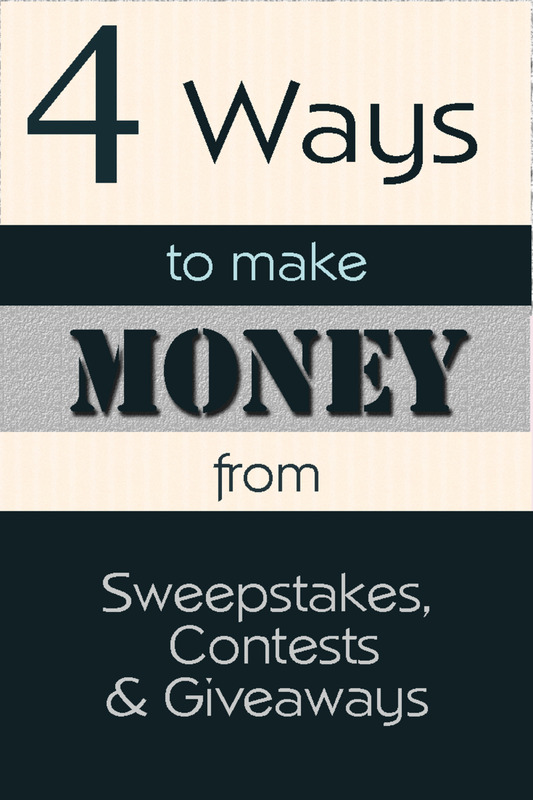 When I did that I received the best responses and received the most free products! 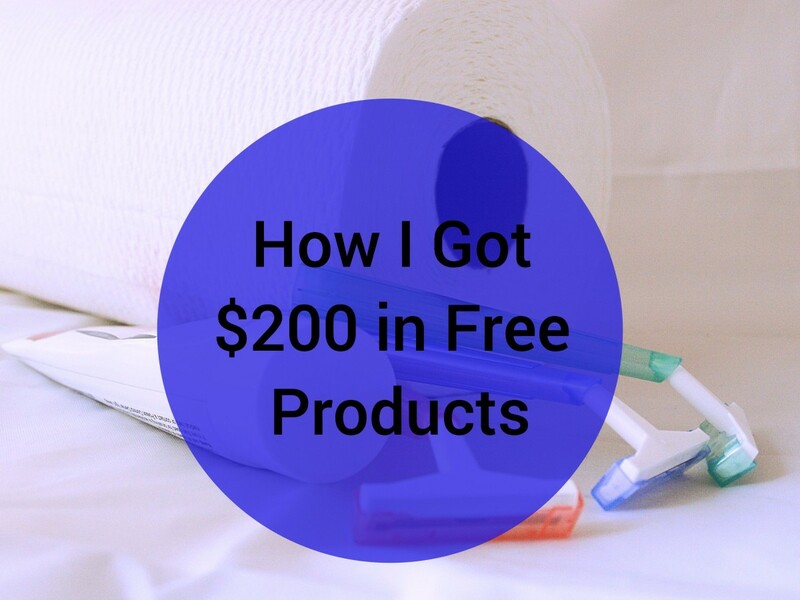 Altogether, including tax, I received about $200 worth of free products! 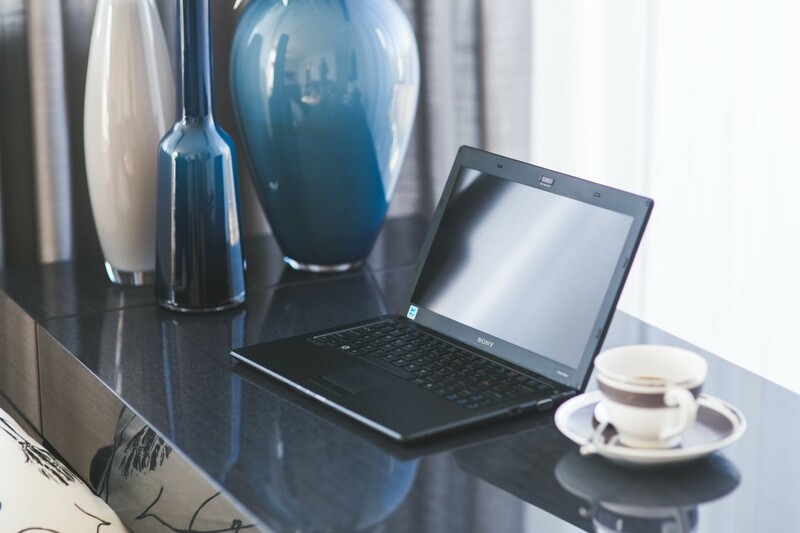 Do you think it is worth your time to write a feedback letter to a company? By sending emails to the companies I love, I got free products and coupons in the mail. An astounding number of companies (mostly the larger ones) do not list their company address on their products. Many of them do not list it on their web-site as well. The best thing to do is contact them via e-mail. Many of the products I found from small companies included their address on the package. Surprisingly, many pet products list the address of their company on their packaging. Many personal hygeine products such as toothpaste, cleaning products, and soap were all made by the same four companies. Some of the companies email addresses were hard to find. It almost seemed intentional. There were some cases when I had to look some of the e-mail addresses up on the Better Business Bureau website. If it was a company I especially loved, I made it a point to go into more detail. When I decided to write more creatively and from the heart, I received the best responses and the most free products! 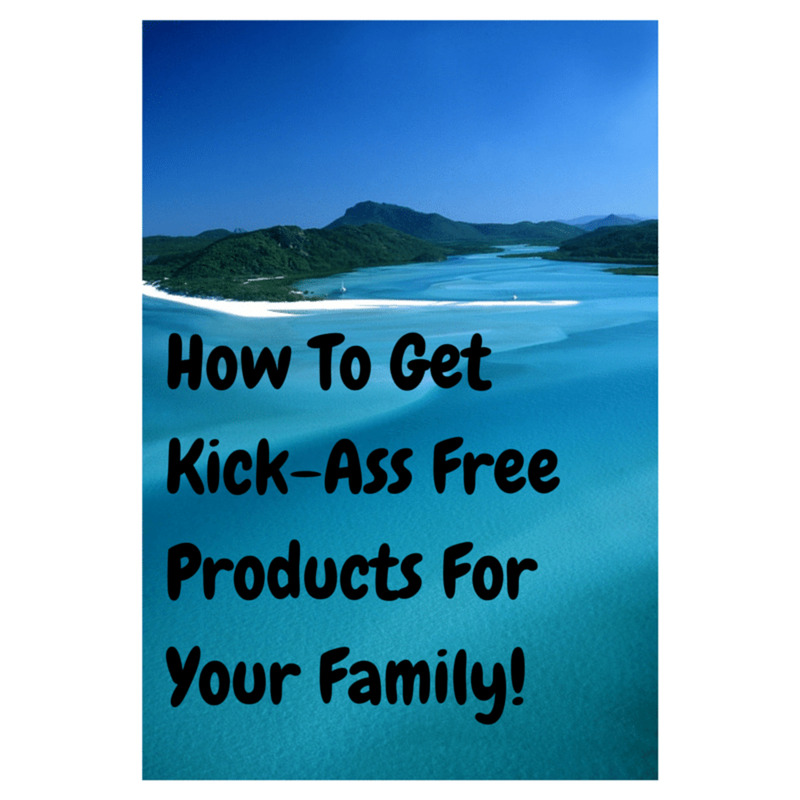 I emailed about 150 companies and I have to say I do have a top five favorite list of free products I received. Celestial Seasonings: The boxes cost around $6 each so I saved about $12. Chuck E. Cheese: My kids had a great time. It was something I don't normally do with them. The card was worth $30. Red Robin: My husband and I love Red Robin and each of our burgers were $15 each so the certificate saved us $30. Oncor Frozen Meals: I don't normally buy frozen meals for my kids. I decided to try these on a busy night when I didn't have time to make dinner. They were really good and wholesome. They almost tasted like a home cooked hot meal. Bausch & Lomb: I have been buying this contact solution for years. My free bottle saved me $12. It was nice to get something back from a company I am very faithful to. I had a lot of fun with this project. 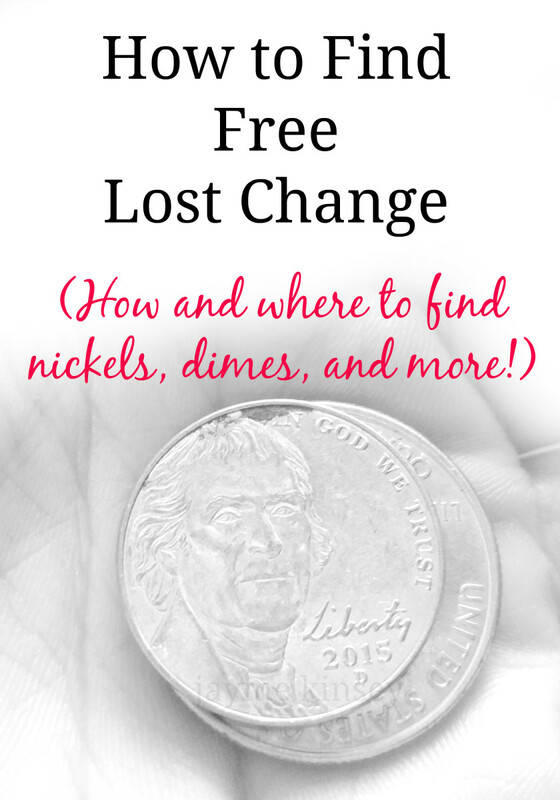 It was really liberating to be able to get a lot of free consumable items for doing something creative and honest. I added up how much this project made me. My credit card bills were a lot lower due to the amount I shaved off of them on the free items I would normally be purchasing. Being that I spent 5 hours on this project and I earned $200 worth of free valuable items, it would amount to being paid $40 per hour. It was well worth my time and I am $200 richer this holiday season! I will now be able to afford to purchase the extras for my children I wouldn't normally be able to! I would love too try this free stuff too i never got nothing but it would be nice to get something if this is for real. The secret to getting free stuff this way is........don't ask for anything. Instead, compliment them on their product. Add a very short story and some humour. Include your kids or grandparents in the story. But compliment them. Make your email short and to the point. About 150 words. But make sure you praise their product. Even then not everybody will reply to your email or send you something. Enjoyed reading your experience and I think I might give it a try. Have to finish up a few projects first but I will give it a try. Have a good day. I'm glad you got so much free stuff! Thanks for sharing! My husband wrote to In N Out about a negative experience we had at one of their locations and they sent us a gift certificate. It's definitely nice to get those in the mail ! Some great ideas. I will try and pursue this. Perhaps with Red Robbin. It's a nice idea and can save you money and also get you to try new products. Men love me because of my free perfume. I signed up for freebies and never receive anything. what did you all write to company to rec free stuff what did you say? I would like to receive free items. Thank you. I have done this before and nobody ever sent me anything but maybe it will this time. It's stories like yours that keep me doing this. I have gotten similar results with other companies. It's heartwarming. I might be writing some hand written letters soon to some well deserved companies. I wrote what I can only describe as a love letter to Gain. I wanted to see if they'd send me a coupon, but also, let's be honest, I love Gain. A week or two later i got a coupon for 50 cents off or something. Fast forward a month or two, they sent me a huge gifts basket with maybe 100 bucks or so worth of Gain products, all full size, no samples, all in the scent that i mentioned was my favorite in the letter. Furthermore it came with a hand written note that wad actually really sweet. (And quite lengthy, indicating they really put time and thought into it.) I'm a Gain fan for life now! Yes, l would love to get some freebies too. Thanks June! It's a very rewarding hobby. Thanks Amy, I have been writing/emailing to companies for years, to complain or compliment, I have also gotten free stuff/coupons, but not to the degree that you have...I think I will take some time and make my list also.....Thanks for the “push”! Would love to sign up to recieve free stuff in the mail!!!!! I love getting free stuff in mail coz it a good ideal for giving stuff to my friends and family and a good gift give away. I would love to get free stuff by mail like free coupons by mail t shirts blouse and more so I would like more information please we would greatly appreciate it if have a big family that really needs help. 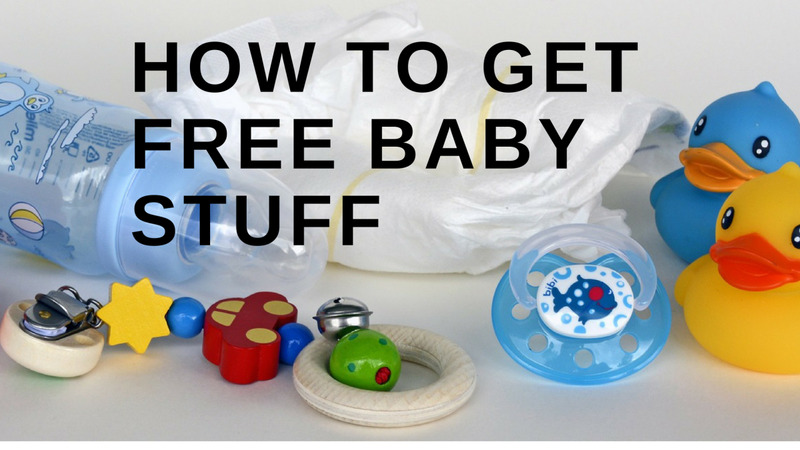 Free is a great way to check out new items,just to have, or share with friends and family. 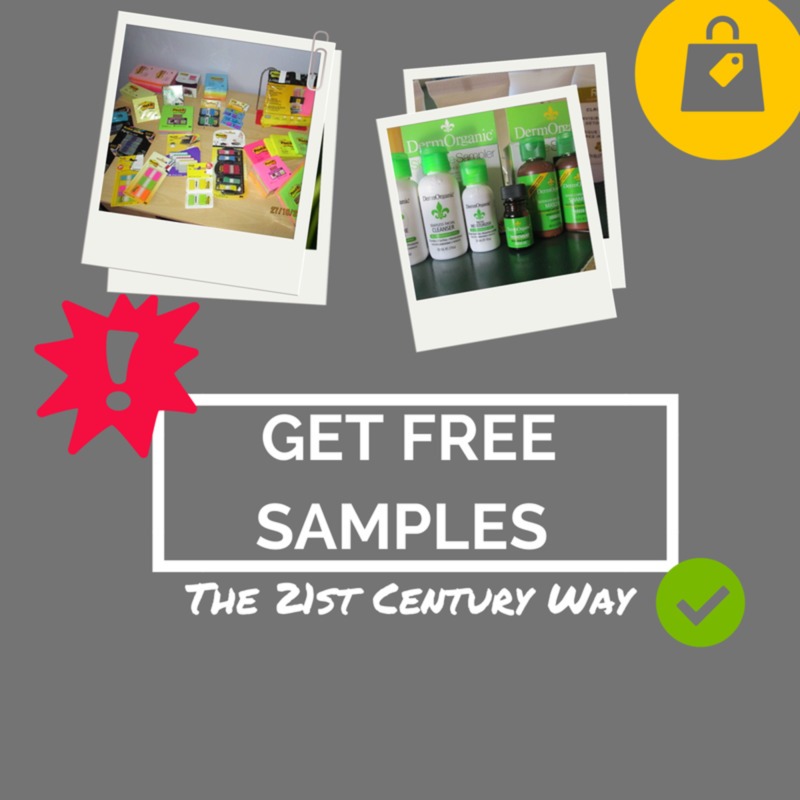 I Love Receiving Samples and I always like Trying New samples and giving reviews on the product awesome Thanks For Sharing! I'm interested in getting free samples. i need food thank you. I LOVE FREE STUFF ¡!!!!!! Hey thanks for the info.I hear you and these are the answer to my questions thanks. I was wondering if you gotta send more emails each time you would like free stuff or do they put u on a mailing list? Thank you for shareing your story. Yes, Angela. I only write letters to companies I really love. It is a good way to spread positive feelings! I did this many years ago . I wrote to just 1 place...Subway and was surprised when they sent me a bunch of coupons for free sandwiches. I did not write them for that reason. I honestly enjoyed a sandwich and the customer service and wanted to tell them. I didn't know that companies would do something like that. I still eat at subway without the free coupons. this is a great way to try things on a fixed income. Jelly Belly sent me three sample bags full of the mixed beans. Pretty sweet. I wish you lots of luck. You should give it a try! I am so happy I read this article, I would love to receive the free samples in my mailbox! Receiving these I've free samples will feel like receiving a presents in the mail! Great article and awesome idea. Could you add a sample letter? Just to get an idea of how you were able to persuade and compliment them, and did you ask out right for a coupon or sample? What department do you suggest we write to if there are multiple department emails found? This is awesome! Thank you so much for this list and for being so detailed. I have done this before with companies I love (I've written compliment emails, but never asked for a coupon-- yet) and have had great success with Duncan Heinz, Happy Baby (Happy Family), Horizon Organic, Plum Organic, and Greek Gods Yogurt. It is nice to get a personal email back, and a big bonus to be sent a coupon. Thanks again for the article!